Lewis Rice member Robert J. Will offers advice for best practice when it comes to attorney-client communication regarding discovery in an article in the Fall print edition of the ABA (American Bar Association) Litigation News. The article, "Alleged Failure to Monitor Discover Leads to Malpractice Suit," delves into Industrial Quick Search, Inc. v. Miller, Rosado & Algois, LLP in which the district court found the law firm liable for spoliation sanctions imposed on a former client. The article can be found in ABA Litigation News, vol. 44, no. 1. Bob Will advises clients on matters related to trust and estate litigation, class action and other complex litigation, professional liability, and eminent domain. 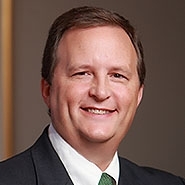 He is committed to and works for the betterment of the legal profession through his longstanding membership in a number of national and local bar associations, including various leadership positions in the American Bar Association’s Section of Litigation, as a fellow of the American Bar Association, and as a fellow of the The American College of Trust and Estate Counsel (ACTEC).